Mumbai, January 16 (Business Today/NDTV/newsin.asia): Anupam Kher and Akshaye Khanna’s “The Accidental Prime Minister” is doing badly at the box office and is also facing a case in the Supreme Court. However, plans are being afoot to release it in Tamil and Telugu on January 18. The movie which was released on January 11, 2019, has grossed Rs 13.90 crore at the domestic box office so far. It has grossed over $2,342 and $661 from Australian and New Zealand, respectively. The Accidental Prime Minister will face competition from Ram Charan’s Telugu movie, Vinaya Vidheya Rama, Rajinikanth’s Petta and also from Yash’s KGF: Chapter 1, which was released on 21st December 2018. Vicky Kaushal’s Uri: The Surgical Strike which released on the same day has surpassed The Accidental Prime Minister in terms of box office collections. It has earned over Rs 50 crore till date. Debutant Vijay Ratnakar Gutte’s film is also facing tough competition from Ranveer Singh and Sara Ali Khan’s Simmba, which is still going strong on the box office. Simmba was released on 28th December 2018 and has earned over Rs 227.71 crore at the domestic box office. The Accidental Prime Minister has been at the centre of allegations and controversies since its announcement. The reason behind most of these allegations is that it claims that Congress’ former president Sonia Gandhi was interfering in Prime Minister Manmohan Singh’s duties and controlled the functioning of the Prime Minister’s Office during Singh’s tenure. However, all these accusations helped the movie to gain attention from moviegoers and prompted them towards the movie. The movie is based on Sanjaya Baru’s book. Baru was ex-media adviser of former Prime Minister Manmohan Singh during his occupancy at the PMO. 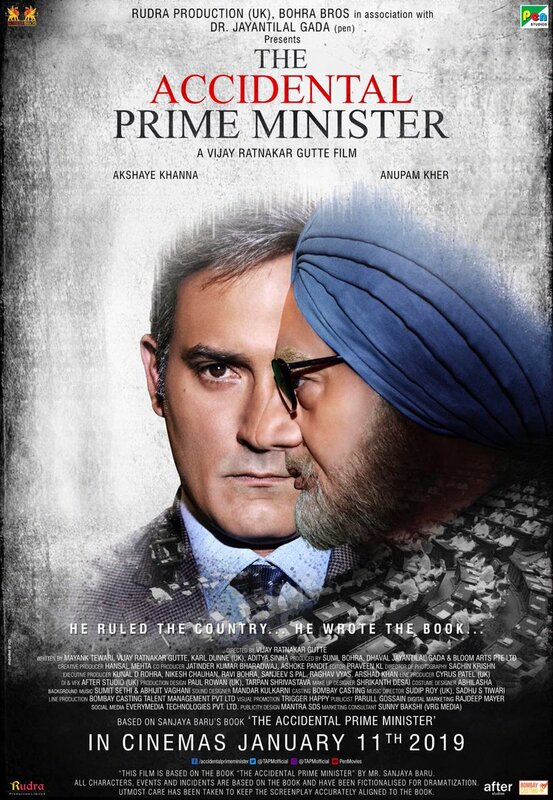 While Anupam Kher is in the role of Manmohan Singh, Akshaye Khanna plays the role of Sanjaya Baru in the movie. 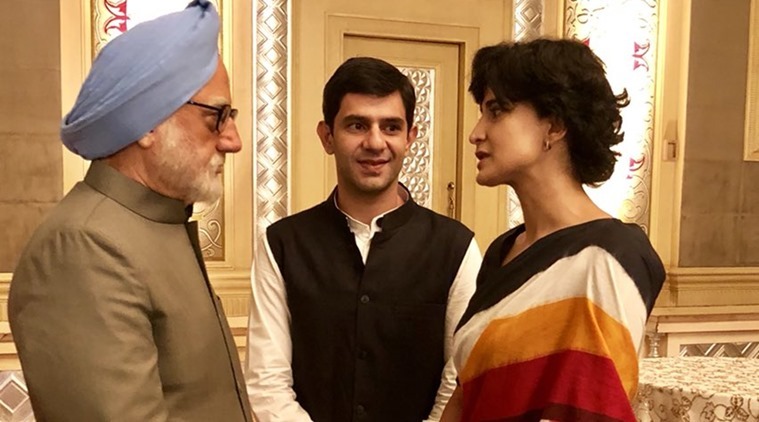 The Accidental Prime Minister has received mixed reactions from critics. A plea has been filed in the Supreme Court challenging the January 7 order of the Delhi High Court which had disposed of a petition seeking to ban the trailer of the movie, “The Accidental Prime Minister”, adds NDTV. The high court had disposedof the writ petition against the trailer but left it open for the petitioner to file a public interest litigation (PIL). The movie, which stars Anupam Kher as former prime minister Manmohan Singh, is based on a book of the same name by Mr Singh’s then media advisor Sanjaya Baru. It alleged that the Central Board of Film Certification (CBFC) should not have given certification to the film as actors have performed the “character of public personalities”, like Manmohan Singh, Congress president Rahul Gandhi and Sonia Gandhi which constitutes an offence under section 416 (cheating by personation) of the Indian Penal Code. “It is a known fact that film producers have not taken any consent/permission from Manmohan Singh, Sonia Gandhi and Rahul Gandhi to perform their characters or to perform their political life or to dress up in the same way as they had been doing in their normal life or to copy their voice in any manner,” the plea alleged. “It seems that film has been produced in a selected manner and it clearly shows that it’s a political propaganda with some other motives,” the plea said. Apart from Akshaye Khanna and Anupam Kher, the political-drama film stars Suzanne Bernert, Arjun Mathur and Aahana Kumra in the role of Sonia Gandhi, Rahul Gandhi, and Priyanka Gandhi respectively. The movie was made under the banner of Jayantilal Gada’s Pen India Limited and Rudra Production.